Pollutants and toxins are all around us and can have a negative impact on our overall health. While the body is able to break down and eliminate some of these toxins, it often needs help. Metabolic detoxification allows patients to cleanse their bodies, which leads to an increase in energy and better overall health. 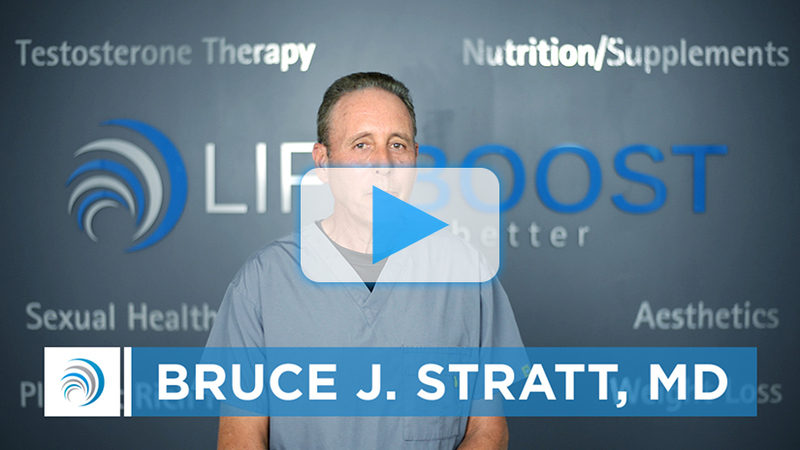 At LifeBoost in Boca Raton, Dr. Bruce Stratt works with patients on a detoxification plan that can lead to weight loss, increased vitality, better sleep and a better sense of physical and emotional well being. Studies have shown the body is exposed to all sorts of harmful substances in everyday life – from air pollution and pesticides used on some foods to chemicals found in paints, cleaners and solvents. Smoking, drinking too much and a poor diet can also harm the body. All these factors can lead to a toxic body. Healthy function of the liver and other organs is key to detox success. At LifeBoost, Dr. Stratt works closely with patients to develop the best metabolic detoxification program for their individual needs. “It’s a whole program that’s available,” Dr. Stratt said. “It’s very interactive medicine. It’s a collaboration.”Contact Dr. Stratt at LifeBoost to make an appointment and learn more about the detox programs available, and which are the best ones for you.